The Allman Betts Band have signed a new global recording agreement with BMG to release their forthcoming debut album Down To The River. Led by Devon Allman, son of founding Allman Brothers Band keyboardist and singer, Gregg Allman, and Duane Betts, son of founding Allman Brothers Band guitarist and singer, Dickey Betts, the album was recorded at Muscle Shoals Sound Studios with producer Matt Ross-Spang (Jason Isbell, Margo Price, John Prine and Elvis Presley). Down To The River is slated for release this June. 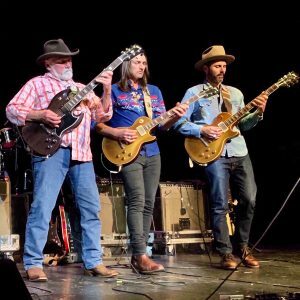 After a successful year of touring, the sons of Gregg Allman and Dickey Betts officially joined forces to form a new group together. Their first call was to old friend Berry Oakley Jr., son of the Allman Brothers Band’s founding late bassist, Berry Oakley, and floated the idea of joining them. 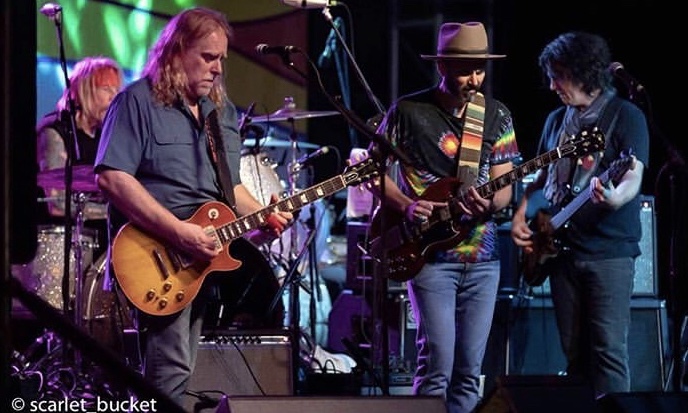 The trio’s musical friendship traces back to The Allman Brothers Band’s 20th anniversary summer tour in 1989 when the three first met, and often sat-in with the Rock-And-Roll Hall of Fame inductee. 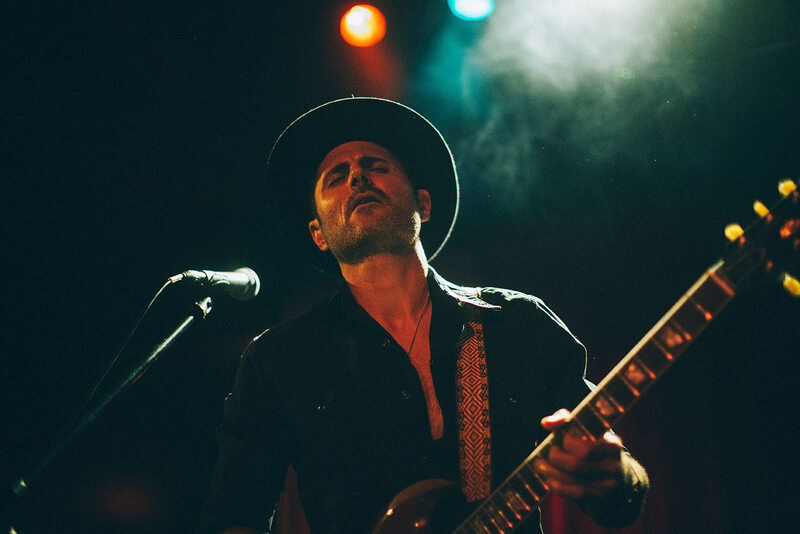 In November of 2018, they announced the formation of The Allman Betts Band. Welcoming producer Matt Ross-Spang the band recorded their sessions at the famed Muscle Shoals Sound Studios. They brought in Gregg’s former bandmate, Peter Levin, and former Allman Brother Chuck Leavell as guests, adding organ and piano, and recruited seasoned players from the Project ensemble: slide guitarist Johnny Stachela, drummer John Lum, and percussionist R Scott Bryan (Sheryl Crow). Motivated by classic recording techniques and vintage gear in the historic Alabama studio, they cut the album live. No computers. No digital editing. Setting-up as one in the studio, they tracked nine songs on two-inch analog tape, resulting in their debut album. The Allman Betts Band will kick off their inaugural tour later this month in New York City. 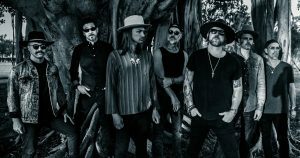 Led by Devon Allman and Duane Betts, the group exapnded their debut jaunt and revealed their new album, Down To The River is due this summer. Devon and Duane are joined in the band by Berry Oakley Jr. on bass, Johnny Stachela on guitar, John Ginty on keys, R. Scott Bryan on percussion and John Lum on drums. The Allman Betts Band opens the lengthy tour at Brooklyn Bowl in New York City on March 27.